A Prince George's County Public School bus driver was presented with a Fire/EMS Department Meritorious Service Award for her actions in preventing injuries to 20 elementary school students when her bus caught fire. On September 20, Renita Smith was presented with the award by County Fire Chief Marc S. Bashoor at Fire/EMS Department Headquarters in Largo. 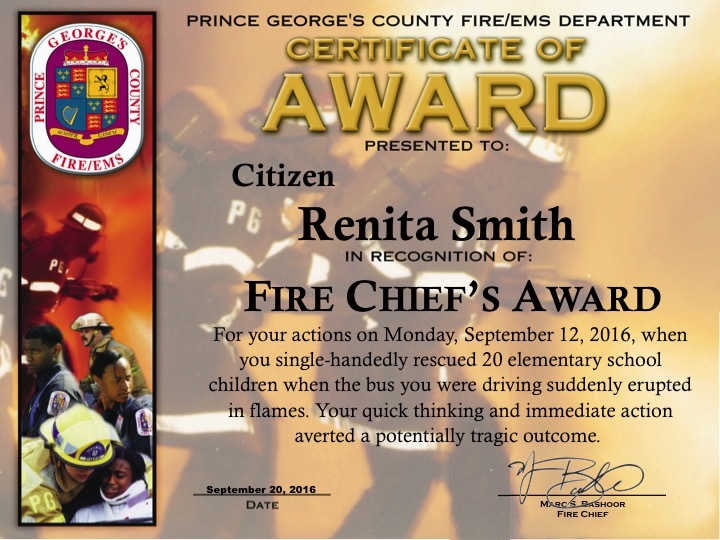 Smith was awarded for her actions that occurred on Monday, September 12, 2016, at approximately 4:45 p.m., Renita Smith was on her third stop of the day at 51st Avenue and Hollywood Road in College Park when she noticed the dashboard brake light on the school bus she was driving was illuminated. 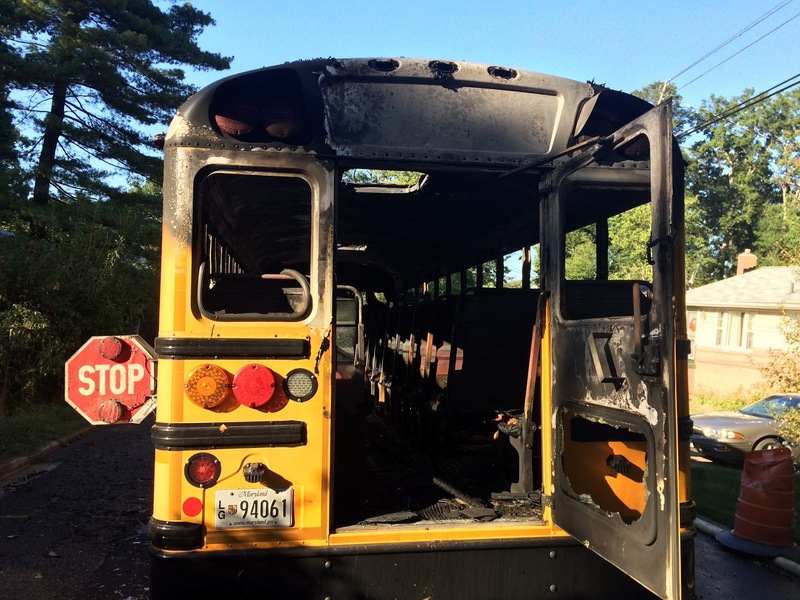 Smelling something burning, she immediately pulled over to radio the depot for a backup bus. 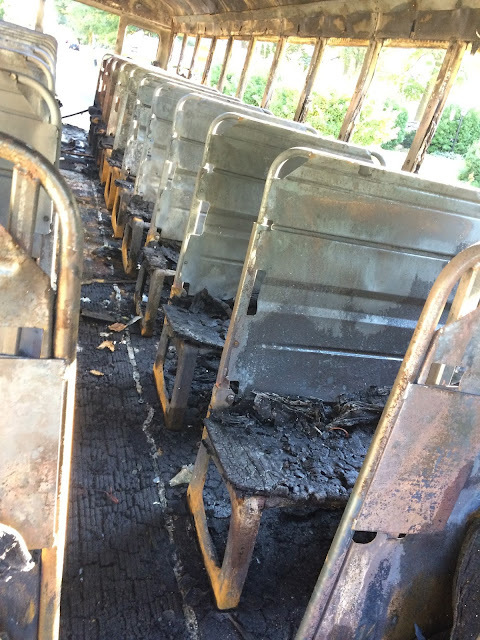 However, as she moved toward the microphone, one of your young passengers yelled, “It’s a fire!” Upon looking in the rearview mirror, Smith observed that flames were indeed coming from the bus. Going into what she referred to as “mommy mode,” Smith quickly began removing the children one-by-one from the vehicle. 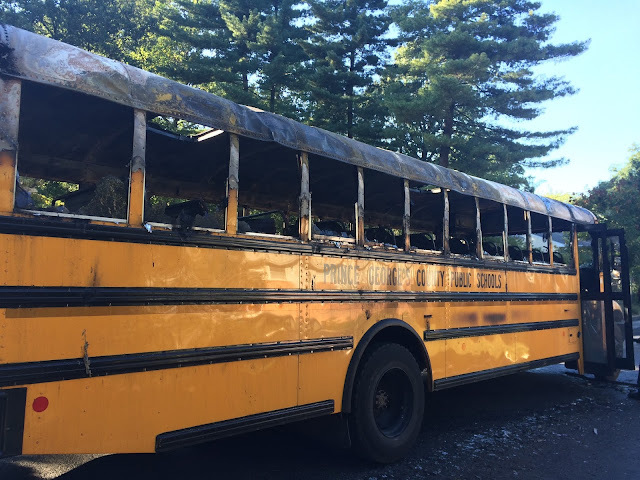 Despite the thick, black smoke and increasing flames, Smith risked her life by reentering the bus a final time to ensure all of the children were safe. 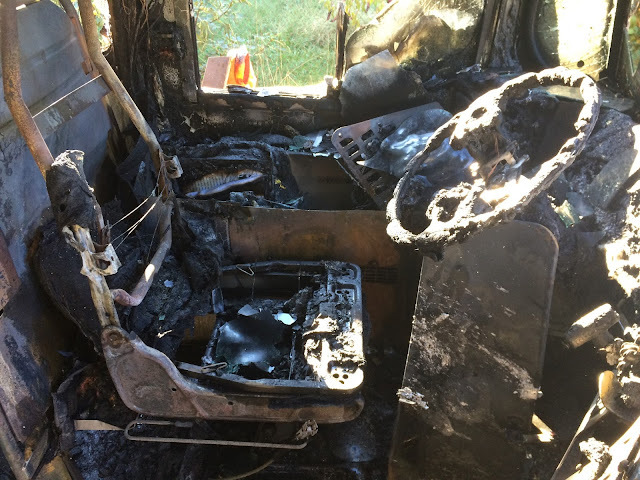 As soon as she reached the last step and was about to exit the bus, it went up in smoke. "Your quick thinking and immediate response saved 20 young lives and is both commendable and worthy of recognition," stated Chief Bashoor. "Therefore, you are hereby awarded the Fire Chief’s Award for Meritorious Service. 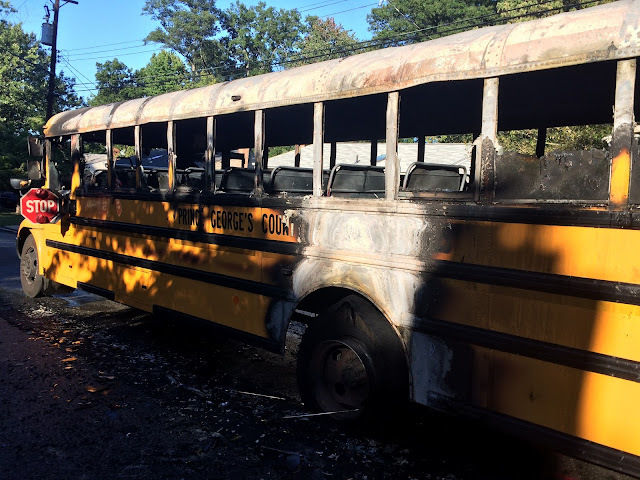 Your actions reflect well on you personally and professionally and demonstrate the great culture within the Prince George’s County Public School’s Transportation Office."